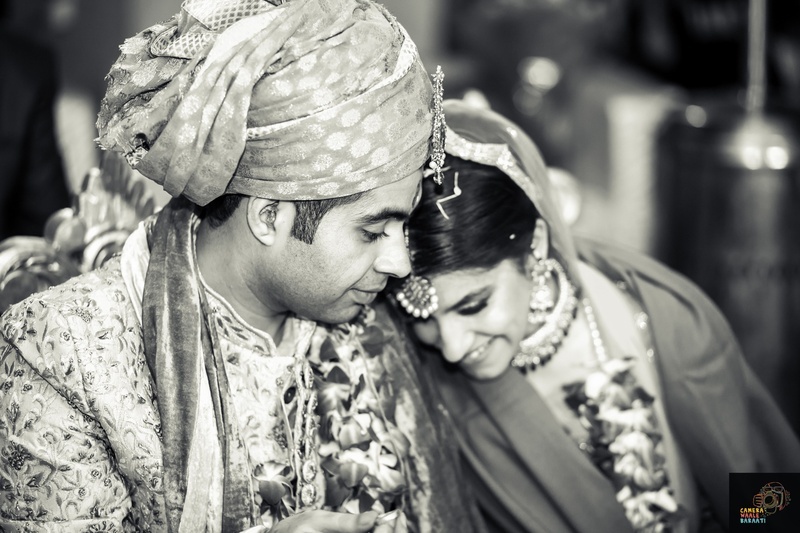 Lutyens Resort, Mehrauli, Delhi saw the intimate wedding of Mohit and Megha. 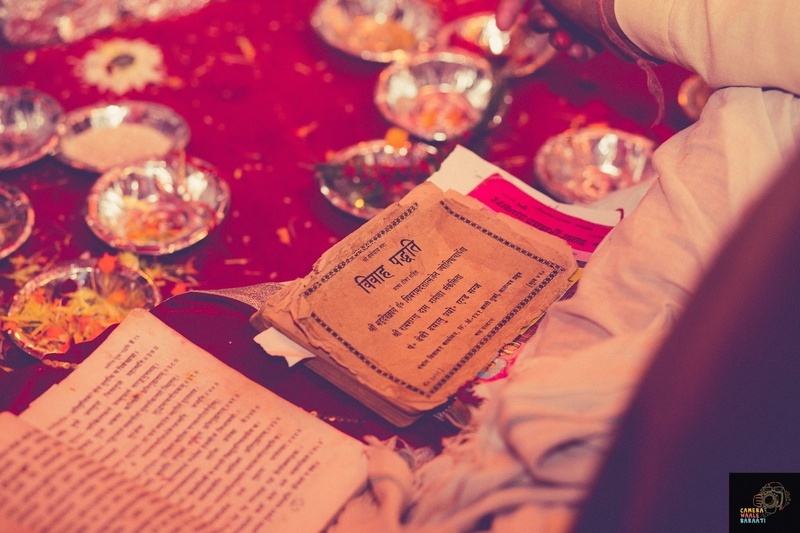 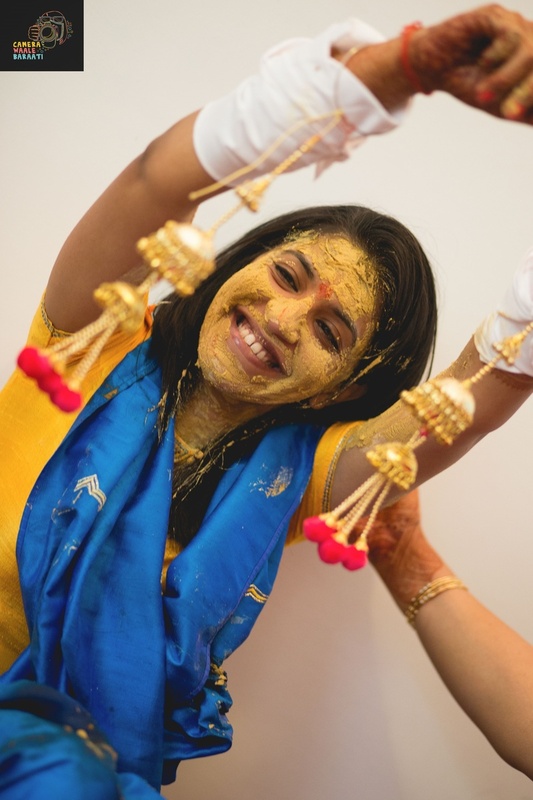 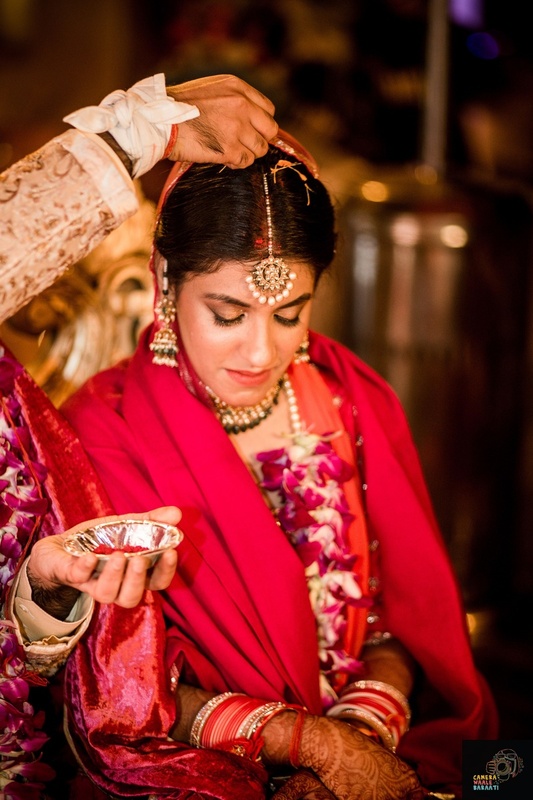 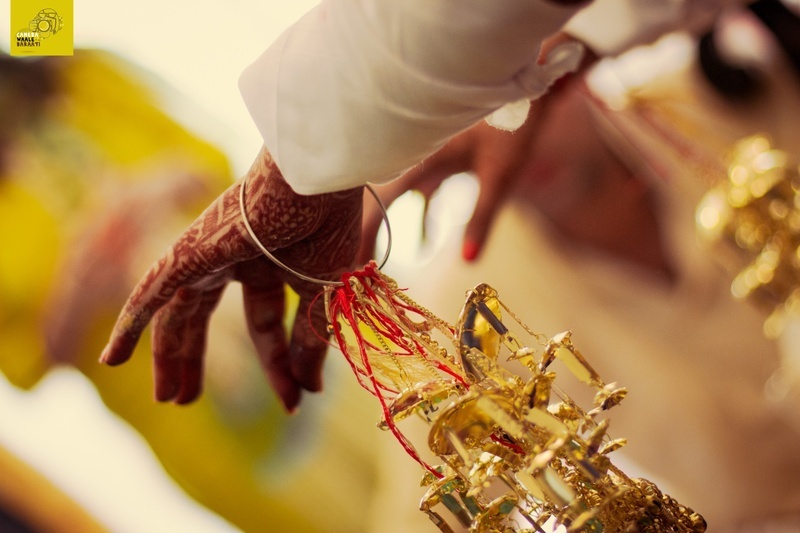 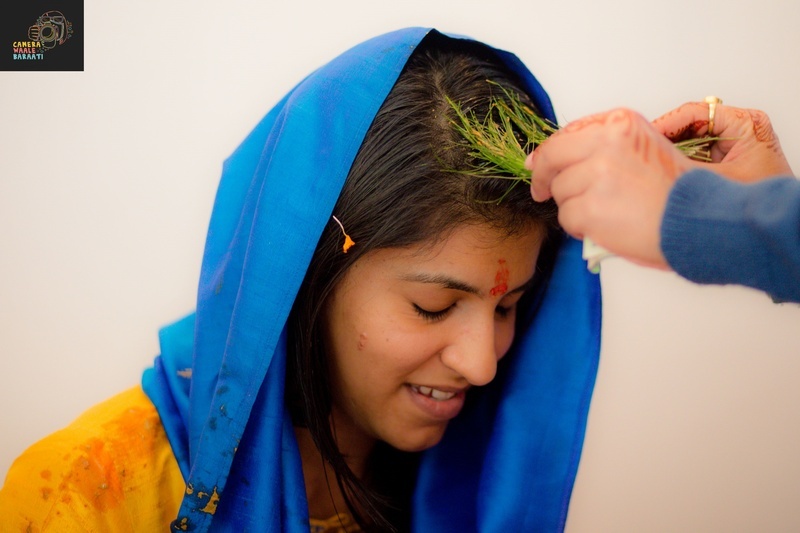 This wedding began with the intimate haldi and chooda ceremony and went on to full fledged wedding celebrations! 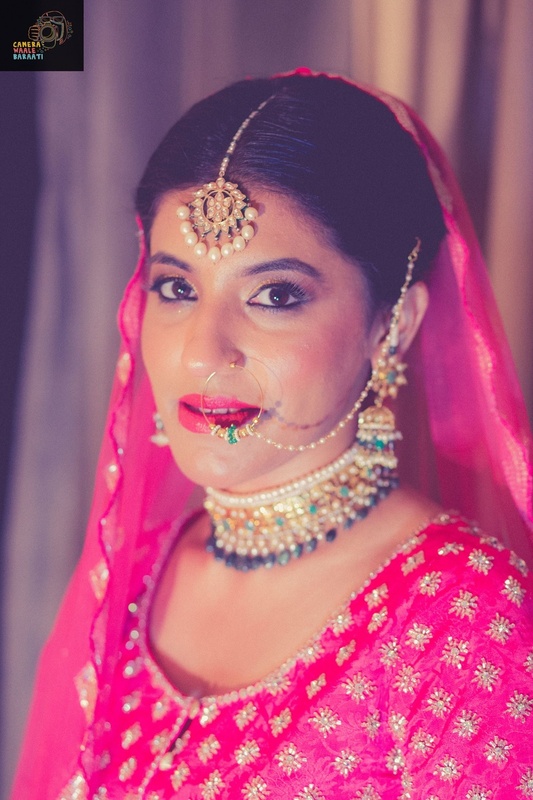 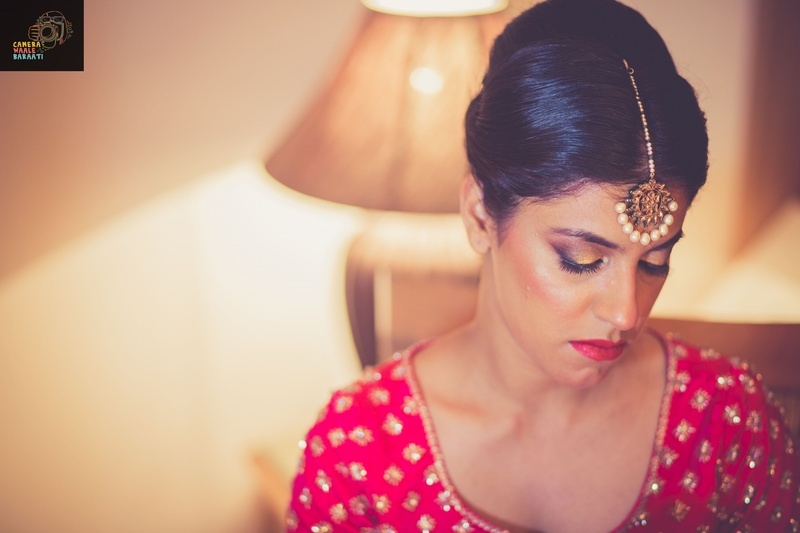 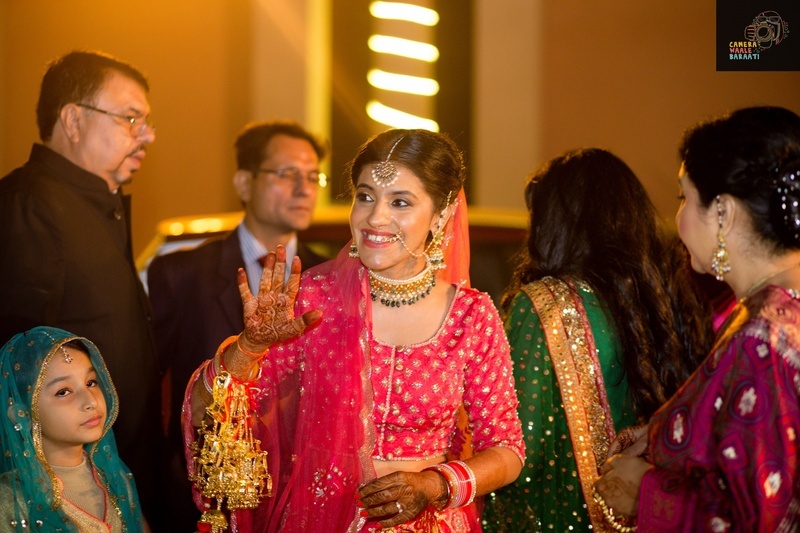 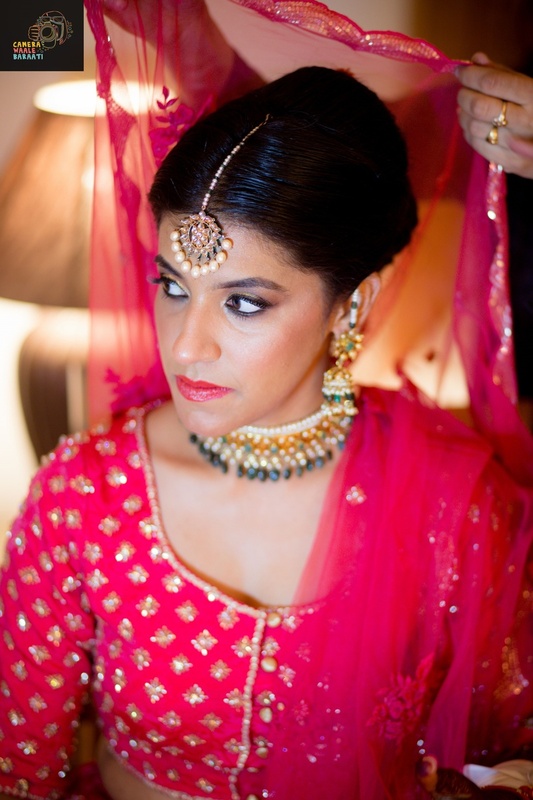 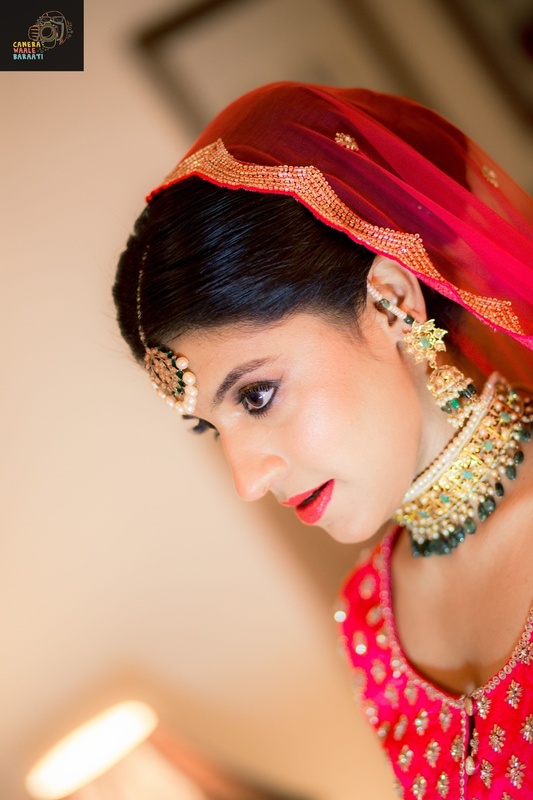 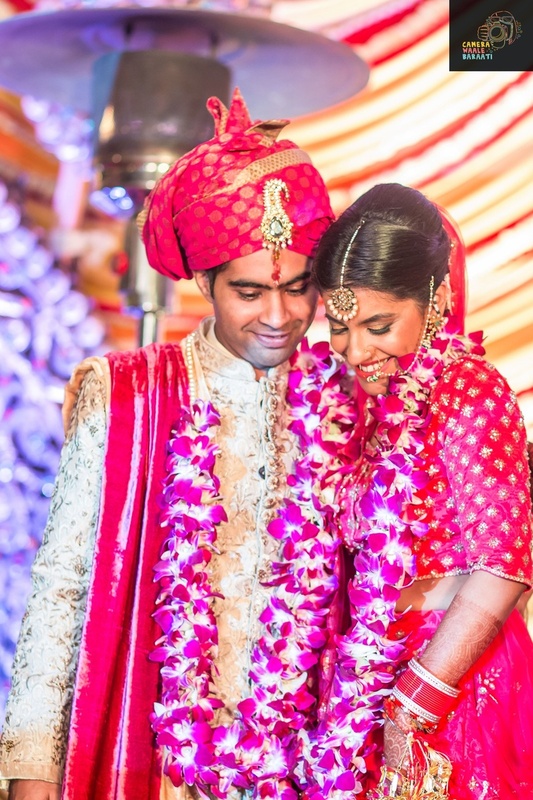 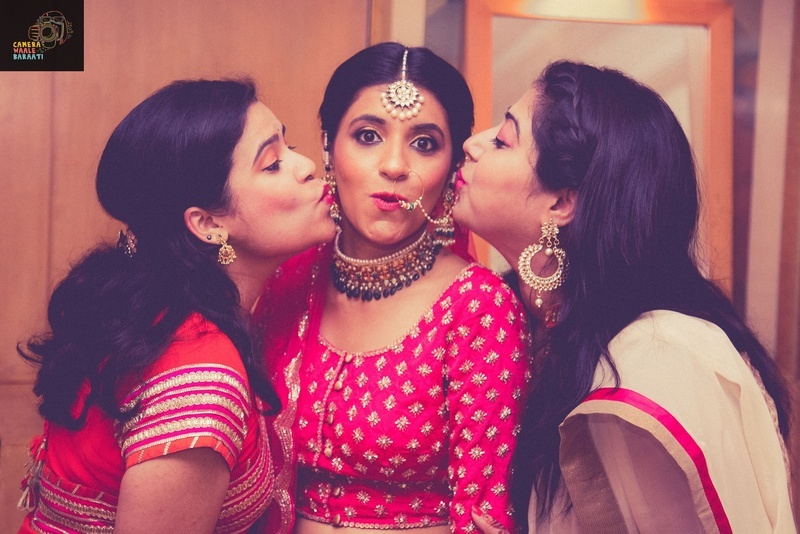 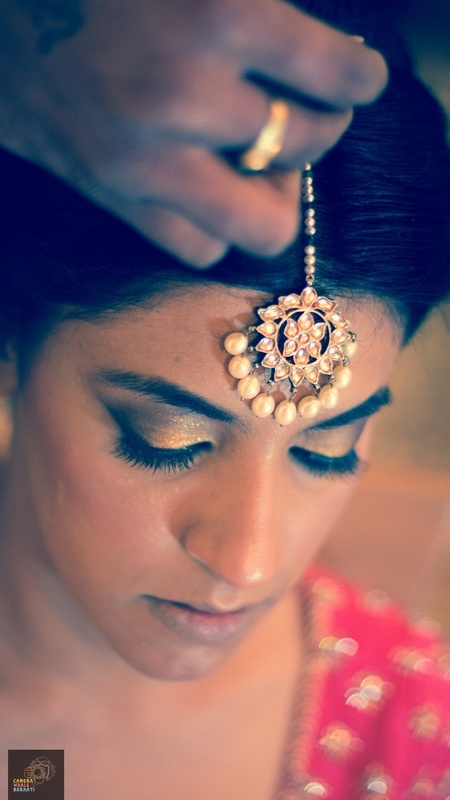 Megha made a gorgeous bride in pink, dressed in a fuchsia lehenga from designer Christina WT. 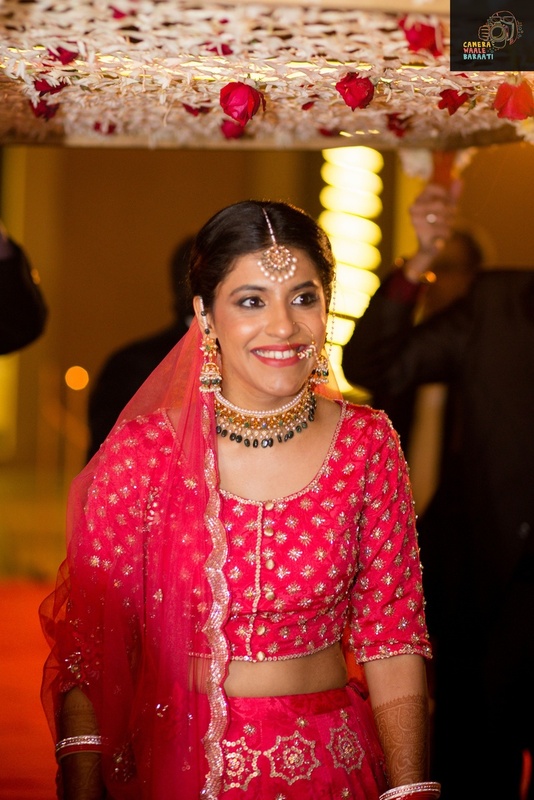 We love that she picked a monotoned lehenga-choli with a butti work blouse and lehenga with star-like ethnic embroidery all over. 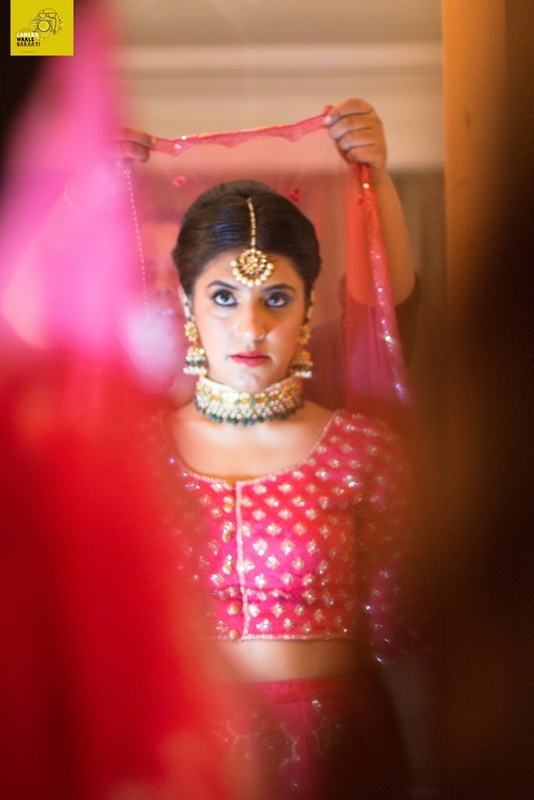 She paired this outfit with a stunning gold jadau choker whose emerald green drop beads had us pinning this photo to our pinterest boards real quick! 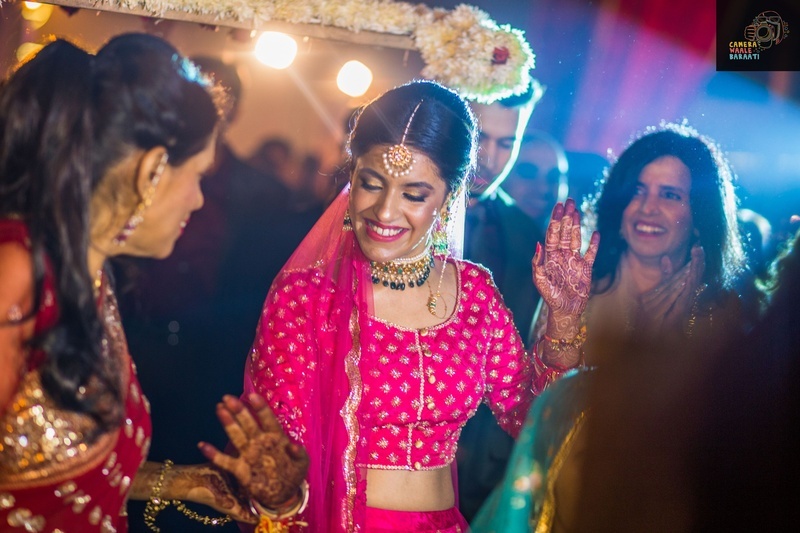 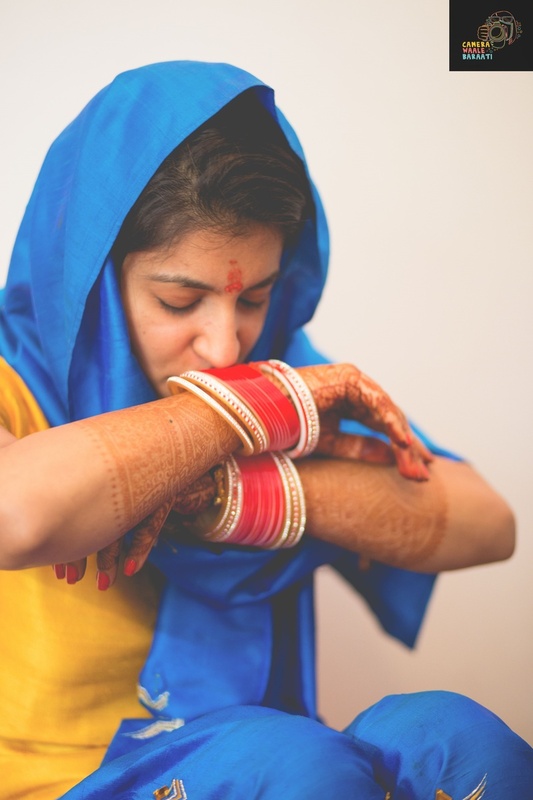 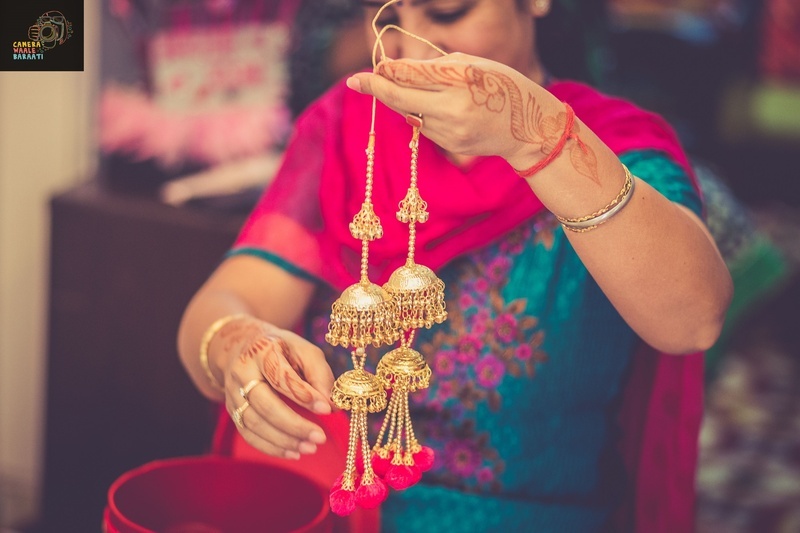 Camera Waale Baarati shot Mohit and Megha's wedding in all its simplicity - right from the warm, homely mehndi right to the wedding where this stunning bride and groom matched their wedding outfits beautifully!